Molecular testing for Microsporidiosis is based on identifying specific stretches of DNA sequences unique to genera of fungi belonging group of intracellular fungi collectively known as Microsporidia. Note: There may be limitations to the testing due to the method being used. Consultation with your healthcare provider will help in determining the right test and right molecular method, based on individual circumstances. What are the Clinical Indications for performing the Molecular Testing for Microsporidiosis Test? 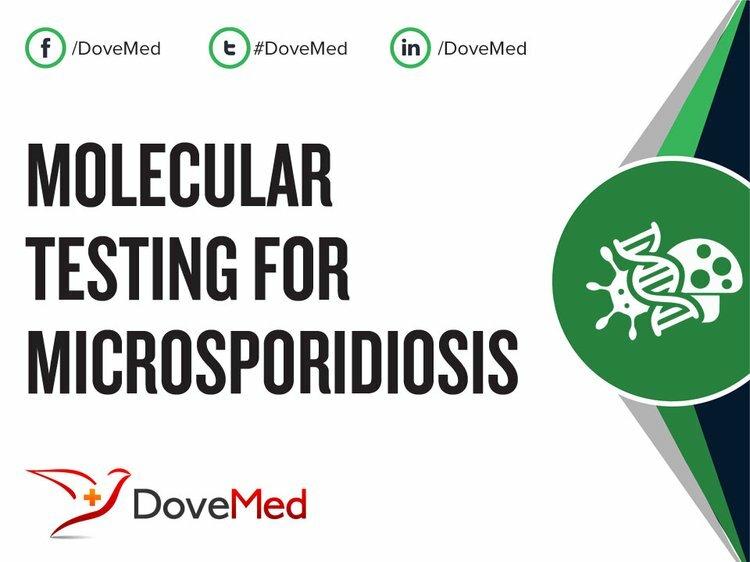 How is the Specimen Collected for Molecular Testing for Microsporidiosis? What is the Significance of the Molecular Testing for Microsporidiosis Result? Microsporidiosis is also known as, or is closely-related to the medical conditions Microsporan Infection, Microsporidea Infection and Infection by Microsporida Sp. Banoo, S., Bell, D., Bossuyt, P., Herring, A., Mabey, D., Poole, F., ... & O'brien, R. (2008). Evaluation of diagnostic tests for infectious diseases: general principles. Nature Reviews Microbiology, 8, S16-S28. Muldrew, K. L. (2009). Molecular diagnostics of infectious diseases. Current opinion in pediatrics, 21(1), 102-111. Opota, O., Jaton, K., & Greub, G. (2015). Microbial diagnosis of bloodstream infection: towards molecular diagnosis directly from blood. Clinical Microbiology and Infection, 21(4), 323-331. Janossy, G., & Shapiro, H. (2008). Simplified cytometry for routine monitoring of infectious diseases. Cytometry Part B: Clinical Cytometry, 74(S1), S6-S10. Booth, S. A., Drebot, M. A., Tipples, G. A., & Ng, L. K. (2000). Application of DNA array technology for diagnostic microbiology. The Canadian Journal of Infectious Diseases, 11(6), 291–294. Rantakokko-Jalava, K., Nikkari, S., Jalava, J., Eerola, E., Skurnik, M., Meurman, O., … Kotilainen, P. (2000). Direct Amplification of rRNA Genes in Diagnosis of Bacterial Infections. Journal of Clinical Microbiology, 38(1), 32–39. Mirjalali, H., Mohebali, M., Mirhendi, H., Gholami, R., Keshavarz, H., Meamar, A. R., & Rezaeian, M. (2014). Emerging Intestinal Microsporidia Infection in HIV^ sup+^/AIDS Patients in Iran: Microscopic and Molecular Detection. Iranian journal of parasitology, 9(2), 149-154. Hocevar, S. N., Paddock, C. D., Spak, C. W., Rosenblatt, R., Diaz-Luna, H., Castillo, I., ... & Tiller, R. V. (2014). Microsporidiosis Acquired Through Solid Organ TransplantationA Public Health Investigation. Annals of internal medicine, 160(4), 213-220. Galván, A. L., Magnet, A., Izquierdo, F., Fenoy, S., Rueda, C., Vadillo, C. F., ... & del Aguila, C. (2013). Molecular characterization of human-pathogenic microsporidia and Cyclospora cayetanensis isolated from various water sources in Spain: a year-long longitudinal study. Applied and environmental microbiology, 79(2), 449-459. Ghoshal, U., Khanduja, S., Agarwal, V., Dhole, T. N., & Ghoshal, U. C. (2015). Comparative evaluation of staining techniques and polymerase chain reaction for diagnosis of intestinal microsporidiosis in immunocompromised patients. Tropical parasitology, 5(2), 101-105.